This week we invite you to take three quick actions at your desk. We can make a difference and stay warm while doing it! Together let’s show up in support of our environment, living into our Biblical invitation to be shomrei adamah/guardians of the earth, and let us continue to say yes to expansive welcome and no to detention of any kind for children seeking to make the United States their home and no ICE for its horrific, traumatic, unnecessary and abusive tactics towards undocumented immigrants and those seeking to enter this country. Blessings as we navigate through these difficult times. May we always remember to celebrate when our dream of a loving, compassionate, equitable, just and safe world sees manifestation! The Tornillo Detention Center has CLOSED! Clergy are Asked to Sign-On to this Letter to Ensure Southwest Key follows suit! Concerned clergy and residents worked together through letters and visits to demand that the detention center at Tornillo be closed and that every child be released. The great news is that last weekend our victory was attained. You can read more about the center by clicking here. Let’s take a breath to celebrate! 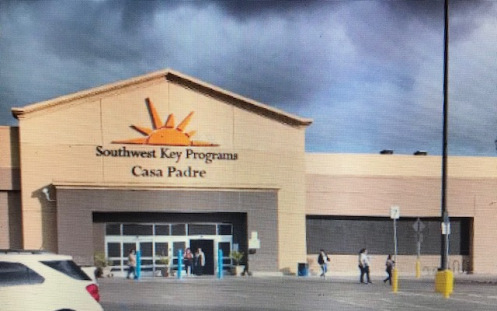 Now, across the nation, people of faith are turning our attention to a similar organization, Southwest Key, which holds many multi-million dollar contracts with the government to manage several children’s detention sites. Southwest Key has come under state-government scrutiny due to documented charges of abuse and neglect of the children. We believe strongly that asylum seekers should not be imprisoned! If you feel this way, too, we ask you to join us in signing a letter to Southwest Key’s Board. We are calling on them to adhere to the spiritual mandates of every faith to care humanely for people who are vulnerable and to help expedite the release from detention of those in their charge. Clergy can sign this letter here. Stop the Acting EPA Administrator from attacking Mercury and Toxic Air Standards! Acting EPA Administrator Andrew Wheeler just unveiled a plan to gut the Mercury and Air Toxic Standards that will allow coal-fired power plants to dump toxic air pollution straight into our air. If more toxic air pollution is released from these plants, our communities — and especially communities of color that disproportionately live near fossil fuel power plants — will face continued severe health impacts! We must act to make sure our communities have clean air! The EPA is accepting public comments on Wheeler’s dangerous plan. That means we have an opportunity to make sure the record shows that the people do NOT support this rollback. We need to get 30,000 commentsinto the EPA before the end of the comment period. Will you add your name now? All communities deserve clean air to thrive. Speak out against the administration’s latest move to make it easier for Big Polluters to contaminate our air! Join People of Faith, Clergy and laypeople, in a Pledge of Resistance to I.C.E. Sign on to a pledge of nonviolent noncooperation with I.C.E.! I.C.E. is tearing apart immigrant families and communities, treating people as invaders and aliens, not treating every human being as having inherent dignity and value, created in the Divine Image. No human being should be treated as such. As long as they continue to do so, we pledge our noncooperation and resistance!